Learning Spanish in Granada is often the motivation for many visitors arriving to the city. FLECOS is an annual Spanish language and culture festival in Granada. This year was the first edition, it is impressive to see the amount of activities on offer. The programme included technical conferences about learning Spanish and cultural events too. Why is FLECOS held in Granada? The most popular Erasmus destination is Granada. 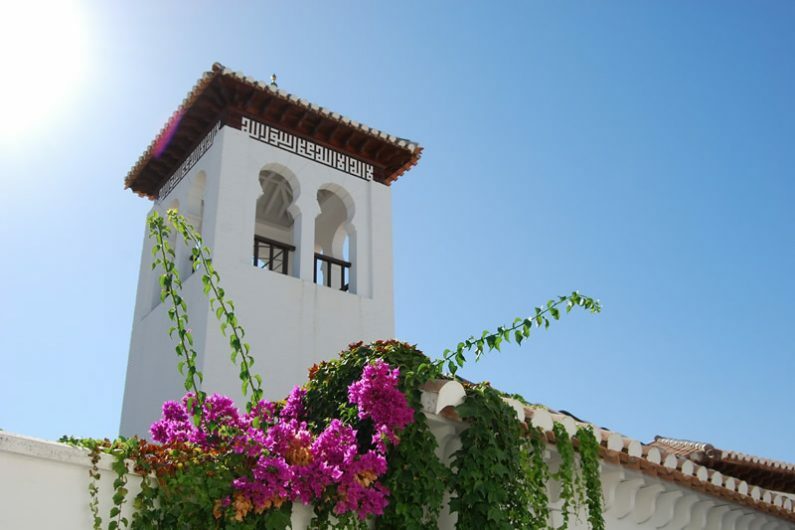 Granada is also an attractive location for learning Spanish too. The quality of the teaching and variety of courses make it interesting for anyone wanting to study Español. What did I do at FLECOS? FLECOS festival was inside the Palacio de Congresos in Granada. Many of the activities were in the city too. On Saturday morning I got to try flamenco class at Carmen de las Cuevas. 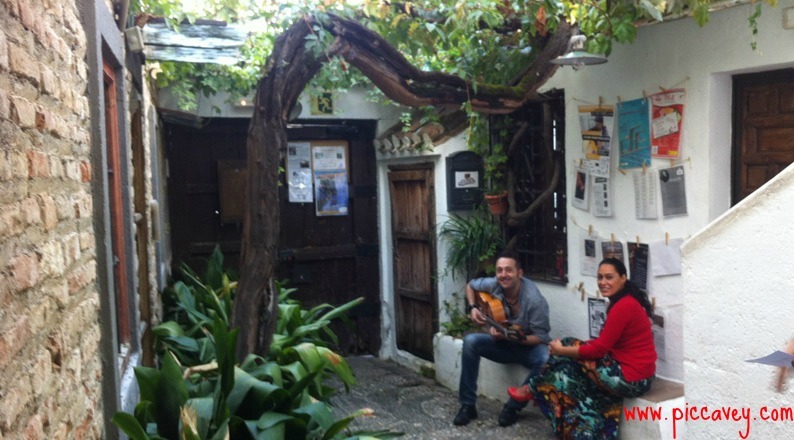 This language school combines Spanish classes with Flamenco. Learning Spanish in the morning, Flamenco in the afternoon. The setting is unbeatable, at the end of the Paseo de los Tristes the Carmen is just up the hill opposite the Alhambra palace. The studios and classrooms are in natural caves and when you are inside you are in no doubt that you are in Granada. You can even stay here and make this your home while you study! The Flamenco class was a short workshop with a guitarrist and the dancer Pilar Fajardo. We learnt basic arm movements and rhythm. By the end of the session we were clapping and moving our feet to the music. Spanish classes can be alongside Flamenco or alone. They are an accredited Instituto Cervantes school. Courses can be just a week or as long as three months. On Sunday we went to Castilla International language school which is just below the Mirador de San Nicolas. The school is in the Carmen de los Gatos. When we arrived they were making a Paella in the garden for Sunday lunch. The classrooms have stunning views of the Alhambra palace and the city of Granada. So stunning in fact, they have to draw the curtains for class otherwise you wouldn´t get anything done! Some of the activities they do are Spanish and Hiking, Spanish and Horseback riding, Spanish & Football. In the winter months you can even do Spanish & Skiing (Nov to March) The school offers accomodation with local families to encourage cultural immersion. Although they have other option and are flexible to other arrangements. The courses are varied, they even offer remote courses from your country online. There were three programmes running in parallel to each other over the weekend. The Scientific programme, the Cultural immersion programme and the Open programme. In the Scientific programme there were many one hour conferences. There were also Hands on workshops for teachers and activities on Spanish language learning. If you study Spanish (or languages) these activities will useful. Spanish language teachers would find this event of great value. Being able to share tips with language experts at FLECOS. One of the conferences which I must highlight is the closing conference ´Language and Power´ by the writer Tariq Ali. In the Cultural Immersion programme there was a long list of events to choose from. Some of the ones I enjoyed were the flamenco class, the Arab bath at the Hammam Al Andalus or Paella making at Castila. I also took part in a guided tour of the Alhambra at nighttime and on Saturday night drinks and tapas inside the Carmen de los Martires. Another highlight was the wine tasting class. During the workshop a local expert showcased three red wines with Denominacion de Origen de Granada. 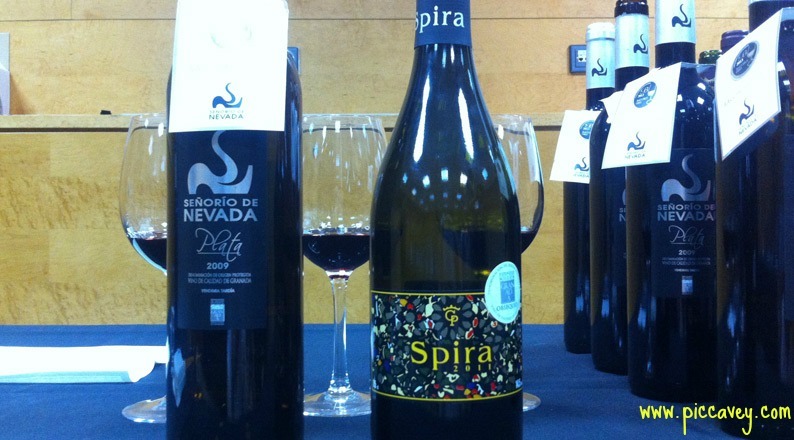 Señorio de Nevada 2009, Cuatro Vientos Marques de la Contraviesa and Spira 2011. The Open Programme transformed the interior of the Palacio de Congresos. Exhibitions stands were set up inside. Representing the Alhambra palace, the Festival Internacional de Danza y Musica and other businesses. Some of them had demonstrations and workshops going on over the weekend. Some of them were Craft beer tasting, a concert by Lara Bello, Olive oil tasting and even a talk by local Graffiti artist el Niño de las Pinturas. 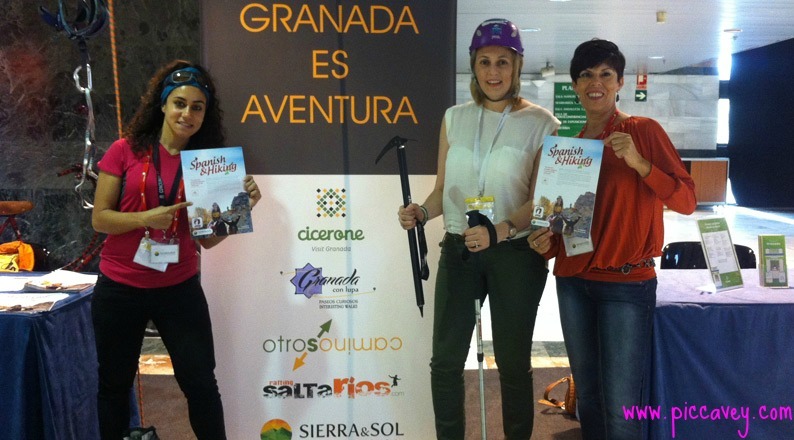 It was great to meet you at FLECOS, we are really excited about you liking our Spanish&Hiking program. We hope to see you soon again! ¡Hola, Molly! It was a pleasure to meet you at Castila. We had a wonderful time sharing our tasty paella and sangria. We are very happy to know that you liked the Spanish School, and its view to the Alhambra Palace from the classroom! See you around! Take care!